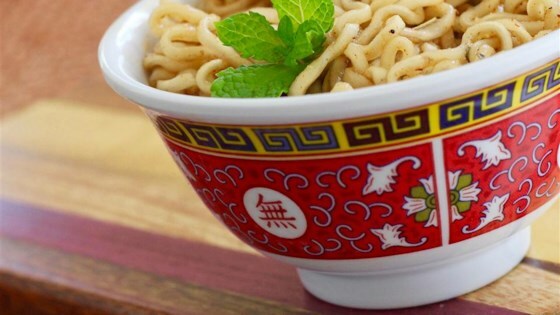 "A broke college student who is on the ramen diet, I needed more flavor so I started experimenting and made this recipe." Bring 2 cups of water to a boil in a saucepan. Remove from heat and add ramen. Let stand until softened, about 2 minutes. Drain excess water. Mix maple syrup, cumin, garlic powder, Italian seasoning, and paprika together in a bowl. Mix in noodles using 2 forks. Fall-off-the bone tender pulled pork! 9.28.16 It certainly is an interesting combination of ingredients, I just think this is one where you’ll need to tweak to your own personal taste preference. This is DELICIOUS I love the sweetness of the maple syrup! I had all the ingredients at home so I made it at home and I love it! Bleh. nasty, and waaaay to sweet. would not serve to self or others.